Reflect! Re-charge! Re-new! and Re-invigorate! Your relationship is your biggest asset: Make 2018 the year you invest in it and engage in meaningful experiences with your partner! …by attending a couple’s weekend retreat where you will acquire useful and lasting knowledge, tools and skills. In my experience as a relationship therapist, supported by growing research evidence, I have found that couples who consciously set aside regular time with each other are healthier, happier and in harmony with each other. Couple retreats are particularly beneficial in rebuilding a couple’s relationship as they provide the ideal space to purely focus on each other and engage in a shared experience with lingering effects. This acts as a first step toward restoring trust, empathy, respect, and intimacy, strengthening connection and love. 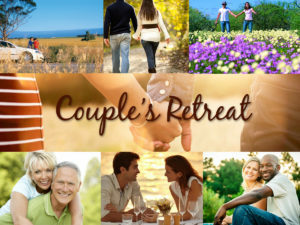 The focus of the retreat is your relationship and your connection with each other and the theme is “stillness, calmness and clarity”. Consistent with this, we have been fortunate to secure a group booking at the heritage listed New Norcia Hotel. The peaceful and relaxing environment, will provide an opportunity for you both to take a weekend break from the ‘hustle and bustle’ of city life, away from the stress and pressure of your regular lives and free from the elements that act as barriers to communication and connection. Within a nurturing space, supported by Deisy, you will learn new skills for introducing a present focus experience, improving your communication, deepening understanding, managing conflict, maintaining safety and respect, developing trust, re-introducing intimacy. Through the use of mindfulness based strategies, it will incorporate experiential activities and practical exercises. You’ll learn essential skills on how to cultivate emotional and physical intimacy as you have uninterrupted time to spend with your partner without the distraction of kids, chores, work, and social media…just time to relax, reconnect with your partner, enhance your overall sense of connection and meaning and restore a sense of balance in your relationship. Act NOW to secure your spot!